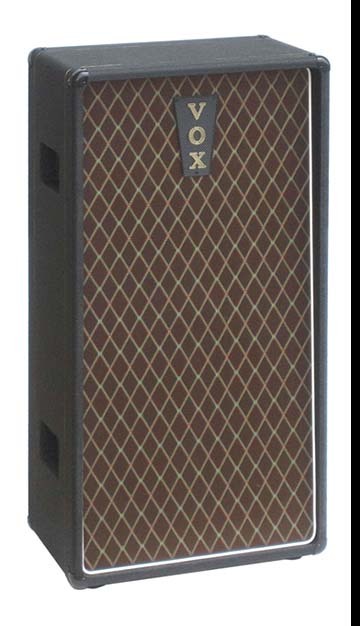 Knowing that they had no amplifiers that could compete with the power of the 80 watt Fender Showman, Vox started the development of 50 watt and 100 watt heads in 1963. The intent was to create amplifier heads that were loud yet simple and inexpensive to build. There would be just one channel and nothing more than volume, treble and bass controls. 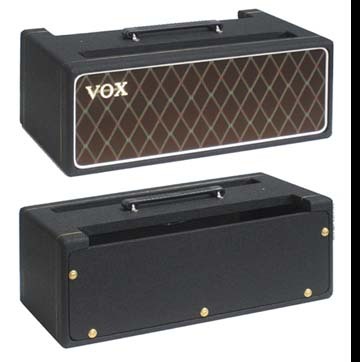 This resulted in the introduction of the Vox "AC-50 Mk I" and "AC-100 Mk I" amplifier heads. One of the earliest adopters of the AC-100 Mk I head was Paul McCartney. McCartney took delivery of his in December 1963. His new amp head would accompany the Beatles to America in 1964 and was seen in the movie "A Hard Day's Night." The cabinet for the AC-100 Mk I amp head was constructed of 3/8" plywood. As a result, many refer to this model as the "thin edge" AC-100 amp head. Paul McCartney was also supplied a T.60 speaker cabinet. 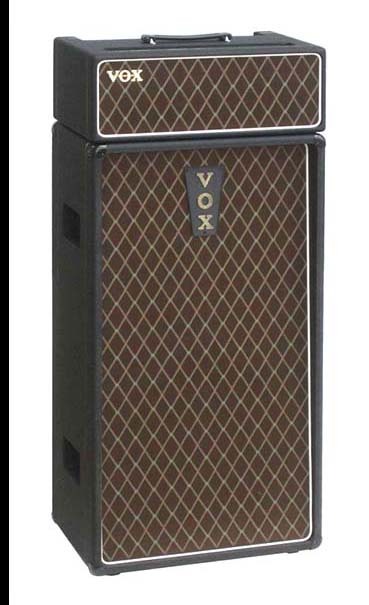 This early Vox T.60 speaker cabinet came equipped with a pair of 50 watt 15" speakers. In 1964, this 2x15" version of the T.60 speaker enclosure was renamed the "AC-100 Bass Enclosure" to better link the enclosure to the AC-100 amp head. A newer, lower powered version of T.60 speaker enclosure was then introduuced with 1x15" and 1x12" speaker to be used with a Vox T.60 head. While Vox officially renamed the 2x15" 100 watt T.60 cabinet as the "AC-100 Bass Enclosure," Vox enthusiasts often refer to it as the "T.100." Reissue Vox AC-100 Bass (T.100) Speaker Enclosure, Less Speakers - The AC-100 Bass (T.100) speaker enclosure is now manufactured exclusively by North Coast Music and authorized and licensed by Vox Amplification, UK. The sealed, closed back enclosure includes speaker cutouts for two standard 15" speakers, speaker mounting hardware, 3/4" baltic birch construction, half lap joinery, bolted baffle, basket weave vinyl, one pin corners, a Vox name plate and a three pin Switchcraft male XLR speaker jack. The cable needed to connect your speaker cabinet to your amp head is not included but available by clicking here. Microphone cables do not work between Vox heads and cabs. 36" x 19" x 11.75." About 70 pounds less speakers. Too large for the mail, Fed Ex shipment. In stock for immediate shipment. Reissue Vox AC-100 Bass (T.100) Speaker Enclosure, With Two 15" Speakers - Same as above but includes two 15" 400 watt RMS Delta 15A Eminence speakers with 56 ounce magnets and 2.5" voice coils. Total RMS power handling of 800 watts. The cable needed to connect your speaker cabinet to your amp head is not included but available by clicking here. Microphone cables do not work between Vox heads and cabs. 36" x 19" x 11.75". About 90 pounds. Too large for the mail, Fed Ex shipment. In stock for immediate shipment. Select your desired impedance from the two choices below. An 8 ohm cab is not an option, sorry. Three 3/4" holes for AC and speaker jacks are provided in the back panel of the AC-100 Mk I amp head cabinet. The vinyl covers these holes. Use a knife blade to expose those you wish to use. Reissue Vox AC-100 Mk I "Thin Edge" Head Cabinet - An accurate recreation of the AC-100 Mk I amplifier head cabinet (no electronics included) as used by Paul McCartney in 1964. Baltic birch cabinet with basket weave pattern vinyl, no plastic corners, Vox logo, and a NCM-074 handle. No amplifier chassis or vent grill is included. Authorized and licensed by Vox Amplification, Milton Keynes, UK. Also available at option is the aluminum vent grill used on the inside top and bottom of the cabinet. Outside dimensions: 19w" x 7t" x 11.25d". Inside dimensions: 17.2w" x 5.4t" x 9d". The control panel cutout is ~15½" x ~3." This cabinet is small enough that it may be shipped internationally by mail.